A picture is worth a thousand words – this saying is especially true when it comes to the computer experience. Many users struggle with screenshots creation and sharing as sometimes it's a tricky task to be done. Icecream Screen Recorder will revolutionize your idea of sharing screenshots thanks to the featureы of copying the screenshots to the clipboard and uploading the screenshots to Icecream Apps server by URL. Read the article below to learn how to share a screenshot quickly in easy and effortless way. 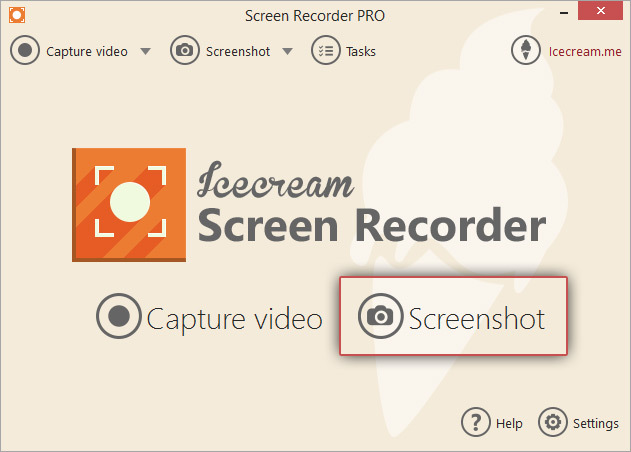 To download Icecream Screen Recorder, click the “Download” button on this page and save the setup file on your PC. After that, open the file and install the application by following the Installation Wizard’s guidelines. 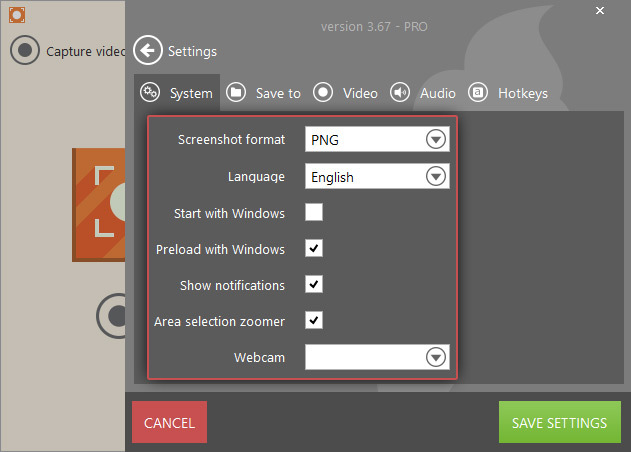 Once it’s installed, launch the screen recorder to take and share a screenshot. Click the “Settings” button in the bottom right corner – it will bring you to the Settings panel. First, open the “System” tab and select to enable or disable program's notifications (“Show notifications”) and the zoomer that is shown during the screenshot area selection for the most precise frames positioning (“Area selection zoomer”). Next proceed to the “Hotkeys” tab to familiarize yourself with available hotkeys, such as “URL”, “Copy”, “Switch control”, “Draw”, “Show panel” and “Cancel”. 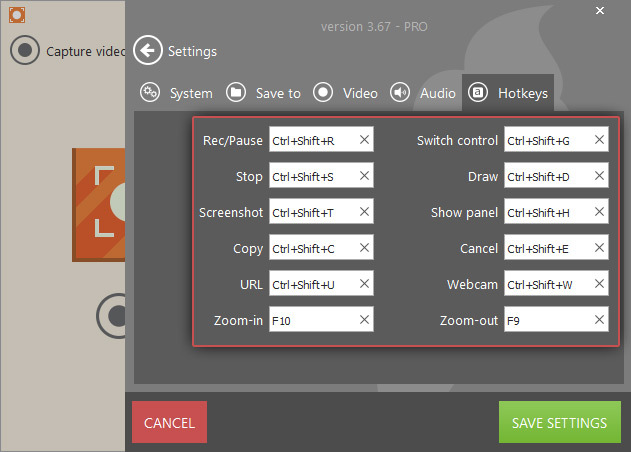 Icecream Screen Recorder supports taking screenshots of any area of your screen (both custom and full screen) thus you can avoid posterior cropping of screenshots of your full screen with online of offline image editors. 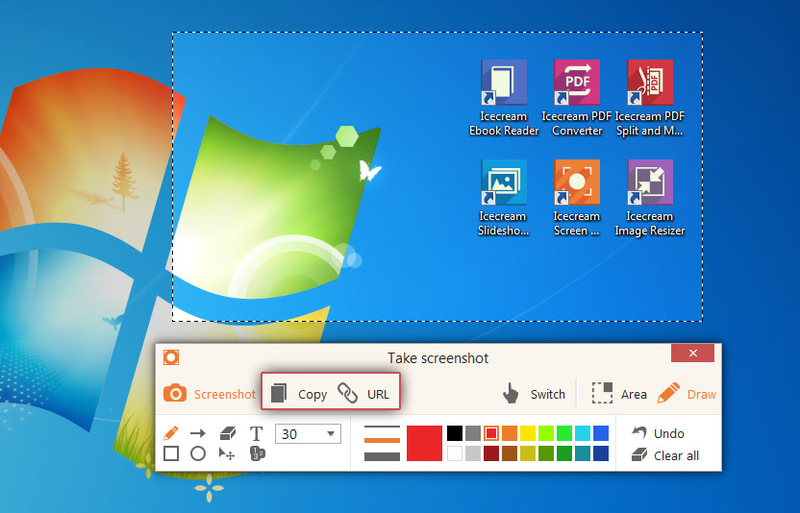 Click the “Screenshot” button in the middle of a main window and use your mouse cursor to frame a necessary area. You can select a random area (Custom) or choose one of the available preset profiles (Full screen, 960p, 720p, 1024x768p, 640x480p, 320x240p, or 160x120p). 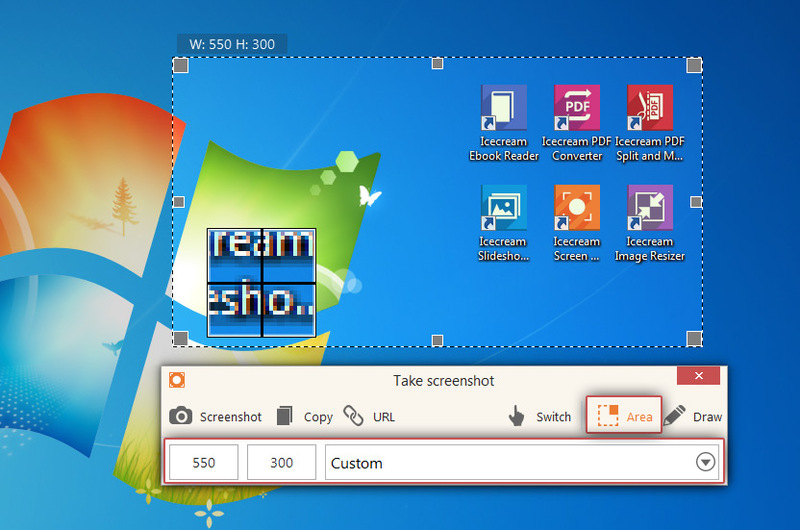 You can move the screenshot area around the desktop and adjust its size before the actual screenshot creation. If you want to accentuate certain parts of the screenshot, click the “Draw” button on the screenshot panel and use tools available through the drawing panel of the program. Particularly, you can utilize brush, rectangle, oval, arrow, step tool and text tools. You may also choose the color of all the graphic elements, the size of the text and the thickness of the remaining tools. The “Undo” icon at the right side of the control panel helps you cancel the latest changes while the “Clear all” button deletes all the changes you’ve made. 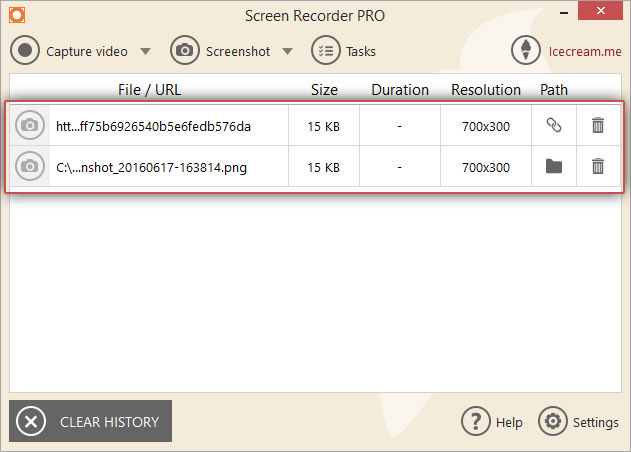 Icecream Screen Recorder supports sharing screenshots quickly in 2 different ways. The quickest and easiest one is saving a screenshot by an URL. To do that, press the “URL” icon on the screenshot panel. After that, the program will show you a notification in the bottom right corner of the screen (unless you disabled the “Show notifications” option) – you can access the link by clicking it in this pop-up window. Alternatively, you can save a screenshot to clipboard and paste it anywhere as needed. To do that, click the “Copy” button On the screenshot panel. You can access the screenshot uploaded by URL through the History panel of the program. To delete a link from the program's history, click the recycle bin icon to the right of the item. The “CLEAR HISTORY” button in the bottom left corner will help you remove all the URLs from the list.